Jerry Bergman supplied for this section his Vita (of September 1998) which the editor reduced by about 40%. 1998 to date: Masters of Public Health (MPH) Medical College of Ohio, Toledo, Ohio. Expect in 2001. 1994 to date: Graduate student in Molecular Biology Department at the Medical College of Ohio, Toledo, Ohio. 1999: Masters of Science in Biomedical Science (MSBS), Medical College of Ohio, Toledo, Ohio. 1992-1997: University of Wisconsin, Madison, Wisconsin. Studied geology, philosophy, nutrition, chemistry, and meteorology. 1992: Doctor of Philosophy (Ph.D.) Columbia Pacific University, San Rafael, CA 94901. Major was human biology. 1986: M.A. in Sociology with a major in Social Psychology, Bowling Green State University, Bowling Green, Ohio. 1977-1987: 60 hours of graduate level course work at Bowling Green State University, primarily in the Behavioral Sciences. 1976: Doctor of Philosophy (Ph.D.), Wayne State University, Detroit, MT. Majored in Evaluation and Research. 1971: Master's Degree, Wayne State University, Detroit, MI. Major area of study was in Psychology, Education, and Counseling. 1970: Teaching certification, Wayne State University, Detroit, MI., both in Primary and Secondary levels. 1969: Bachelor of Science, Wayne State University, Detroit, Michigan, 48202. Major area of study included Psychology, Biology and Sociology. 1967: Associate of Arts (A.A.), Oakland Community College, Bloomfield Hills, Michigan. Biology and Behavioral Science. Honors and awards: Listed in Marquis Who's Who in the Midwest, since 1992 Marquis Who's Who in America 2000 ed. ; Wilmette, IL, and Who's Who in Theology and Science, 1992 Ed., p. 18-19, Winthrop Publishing Company, Framingham, MA, 1992 and 1996 edition (New York, Continuum 1996 p. 32), and Who's Who in America 47th Ed., New Providence, NJ 07974. Listed in Research Centers Directory edited by Maurice Michelle Watkins, Gale Research Company, Book Tower, Michigan. 1990 and in Internationales AdreBregister der Sektenarbeet Munchen 1997-1998. Member of MENSA which requires members to be in the top 2 percent of the population intellectually. Received the 1998 Edgar Langsdorf award for excellence in writing. Was awarded the Who's Who Among America's Teachers for the year 2000. Adjunct Instructor of Pathology and Research Associate, Department of Experimental Pathology, Sept. 1998 to April 2000 Medical College of Ohio, Toledo, Ohio 43614. Instructor of Science, March 1986 to date at Northwest State College, Archbold, Ohio, Department of Arts and Sciences, teaching primarily biology, biochemistry, genetics, chemistry, and physics classes. Also served on academic affairs committee for five years, and chair for two. Served on several search committees, and as a consultant for a score of science textbooks. Developed many new science courses. Adjunct Professor at Indiana Wesleyan University Marion, IN, supervising master's theses in an MBA program designed for established professionals (almost all of the fourteen students I have supervised have undergraduate degrees in engineering, nursing or related areas). 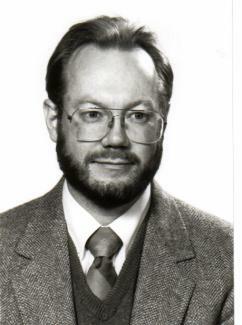 Instructor of Math and Science, September 1980 to June 1986 at University of Toledo. Dr. Amand, last Department Chair. Taught a wide variety of classes to engineering, business, nursing and other students at both the graduate and undergraduate level. Also taught general science/biology and behavioral science classes part time at Defiance College, Defiance Ohio, and Owens Technical College, Toledo, Ohio during this period. Associate Professor of Psychology, September 1981- December 1982. Department of Psychology, Spring Arbor College, Spring Arbor, Michigan 49283. Taught in the psychology, biology, sociology area. Assistant Professor, Bowling Green State University, Bowling Green, Ohio, September 1973 - June 1980. Teaching general education, psychology and assessment classes. College Instructor. Teaching Psychology, Sociology and Corrections at Oakland Community College, Bloomfield Hills, Michigan. Worked in developing several innovative programs. Research for the National Council on Crime and Delinquency (NCCD) on the criminal population for the community treatment project for second felony offenders (the results were published by NCCD). My research experience in this position includes developing measuring techniques, designing and using a wide variety of psychological tests, evaluating psychological programs, system rates research, gathering, coding, and summarizing data using computer, writing reports, writing the conclusions and research findings, evaluating on-going programs (including group counseling, marriage counseling, drug groups, individual counseling), writing progress reports for publication. Primary and Secondary Science Teacher, Lamphere School District, Madison Heights, Michigan, and Clawson High School, Clawson, Michigan. Taught Biology, Physics, General Chemistry, and Drafting, both classes and labs. Used behavioral objectives in designing lessons under a highly structured teacher accountability system. Developed research projects on creativity. Chemical Research/Publication Development Engineering Company, Royal Oak, MI, about 1975 to 1979 as a consultant. Mechanical Engineer Cunningham Engineers, Inc., Bloomfield Hills, MI, and Hugh Acton Company, Birmingham, MI 1967 to 1970 and other dates (consulting to 1973). Involved in the mechanical engineering aspects of both the design and development and field testing of large industrial machinery and buildings. Counselor (part-time volunteer). The Link, Bowling Green, Ohio 43402. The Link is a 24-hour crisis intervention agency. I worked about 20 hours a week March 1968 - June 1972. Three years experience working with drug addicts as a teacher/counselor at Alexandrine House and other centers in Detroit, Michigan. Reference Librarian and General Library Work. For the Royal Oak Public Library, Royal Oak, Michigan. Reference Librarian and Audio-Visual Technician. Oakland Community College. Worked in the early stages of developing the audiotutorial approach based on behavioral objectives, utilizing the multi-median approach for OCC's experimental educational program. Commercial and Industrial Photographer. For Bloomfield Photographers, Inc. Did a wide variety of commercial and scientific photography. Psychologist, Arlington Psychological Associates, Toledo, Ohio and Toledo Pain and Stress Center. In this position, I worked as a clinical psychologist (registered with the State board of Psychology as a psychological assistant). Treatment methodologies I worked with included biofeedback (electro- myogram, electroencephalogram, galvanic skin response and pulse), cognitive control, visual image, rational emotive and Rogerian therapy, hypnosis and autogenic and progressive relaxation (Jacobson and other methods). A. Three years at Oakland Center Hospital (Supervisor was Dr. Bernard Gerapy, M.D.) in Royal Oak, Michigan, as a technology lab assistant involved in the many tasks necessary for the operation of a small hospital, including general lab work and the preparation of research data and results for medical presentations. B. About one and one-half years at the Toledo Pain and Stress Center, Toledo, Ohio under the supervision of Dr. William Beausay. I worked primarily with various stress reduction techniques including biofeedback, electroencephalogram, electromyogram, galvanic skin response (GSR), and related as used in the control of chronic pain. Collecting books, reading, writing, restoring antiques, carpentry, stamp collecting, photography and travel. President of the Society for the Scientific Study of Male Psychology and Physiology, an organization which deals with researching both the psychological and biological aspects of maleness including unique male medical problems, both as a unit and in contrast to female problems. This professional organization consists of researchers and scientists. Based on my research activities, on April 30, 1983, I was awarded the prestigious honor of a Fellow of the American Scientific Affiliation, an organization consisting primarily of natural and physical scientists.